The year was 2007 and the UK dance music scene had never been healthier. Fidget, aka Wonky House, was leading the charge in clubland with its phasers set to bonkers, its utterly daft, farty basslines filling dancefloors all over the country with a fun, relentless energy that even the recently introduced smoking ban couldn’t extinguish. The Fidget scene at the time was dominated by the mysterious Fake Blood, who was latterly revealed to be the butch one from Right Said Fred (kids these days know him better as Burial or one of Deadmau5‘s stand-ins when the real Deadmau5 is taking a day off to swim, Scrooge McDuck style, in his mountain of gold coins), along with Burberry fanatics Sinden and Hervé (aka The Count of Monte Cristo aka the Ambassador from the Ferrero Rocher ads), with their oft-copied, signature flatulent bass and choppy, garagey beats. Today, some might argue that these artists have never escaped the silly stigma of the Fidget days. Their signature sounds were imitated and plagiarised on such a grand scale that some bass-loving rebels were forced to take another popular, but far more underground, genre called Dubstep and re-invent it as The Most Annoying Musical Genre Ever just to distract everyone from the relentless, McDonalds Happy Meal cheesiness of Fidget house. Fidget became that annoying little bit of dog mess that gets stuck in the zig-zaggy bit on the soles of your Adidas shell toes that you can’t even dig out with a twig. It seemed like it was destined to fade away with the next rain shower, but frustratingly stuck around for ages, stinking up the place. That was until Ministry Of Sound released its Fidget-centric Now That’s What I Call Bandwagon House That Everyone’s Already Sick To The Teeth Of Vol. 69, which effectively sounded the death knell for Fidget and sent it the same way as Big Beat and UK Garage, to the great, big HMV bargain bin in the sky. A small part of me:- the lager-swilling, stranger-hugging, E4-watching part, misses Fidget. It was silly, throwaway music that didn’t require any chin-stroking or in-depth critical analysis. Its sole purpose was to help people have fun and give them an excuse to wear their baseball caps at a jaunty angle. And few can argue that there’s anything wrong with that. Unless, of course, you have a strong aversion to having fun and wearing your cap at a jaunty angle, in which case you might as well end it all now because you’re most likely dead inside. As you’ve probably guessed by now, some of the tunes in this mix haven’t dated very well (as well as the aforementioned Count & Sinden, I’m also looking at you, Messrs Tubbs and Rascal! ), but there are some modern classics in there, especially those of the Breaks persuasion… Jewelz by Baobinga & ID epitomised the fun and creativity of the breaks scene at the time. There’s a bonkers little ravey number, which I believe is by Basement Jaxx under their Nifty pseudonym, which bangs hard. There’s also a fine example of the Plump DJs in their absolute pomp with their ultimate party anthem System Addict. Elite Force‘s I Don’t Think So channels late ’90s Chemical Brothers with loads of cosmic synth action and dark, broody bass. And speaking of the Chems, the mix closes with one of Tom & Ed‘s most euphoric Electronic Battle Weapons, Saturate. I’m sure the fun-lovers amongst you would agree that most of these tunes would still smash a party’s back doors in these days too. Anyway, thanks for reading and I hope you enjoy this daft little slice of mid-noughties nostalgia. Try not to take it too seriously, afterall no-one really did at the time. You can find B-Bouncy B-Beats, along with all my other mixes, on the DJ Mixes page. Following on from my post on Wednesday about radio show downloads, I am pleased to announce that all of the download links on my DJ Mixes page are now back in action too. Many apologies to those of you who have had trouble downloading my mixes recently and thanks for your patience. I got there in the end! Don’t forget, you can also access most of my DJ mixes, as well as my radio show archives, via my Mixcloud. Thanks again gang. I hope you enjoy the tuna! HUBIE SOUNDS on air this Tuesday! Alrighty, it’s shaping up to being a busy week here at Hubie Sounds Studios! As well as gearing ourselves up for the inaugural NSB Radio Awards, we’re currently digging out a selection of hot new tunes for the next Hubie Sounds show airing this Tuesday night! This time around, as well as spinning the aforementioned fresh new tuna, we’ll be presenting a Distinctive Records showcase with a selection of the finest new cuts the label has to offer! So if you like techy, proggy breaks and dubstep, you’re bound to enjoy this feature! But wait! That’s not all! We’ll also be giving away some hot new vinyl by Boom Jinx and Rennie Pilgrem’s legendary rave crew Rhythm Section! So make sure you tune in to find out how to get your grubby mits on this delectable booty! Hubie Sounds – Tuesday 10th August @ 9pm UK time – live and direct on NSB Radio! That’s right, I’ve finally my act together and started uploading my shows to Mixcloud. Why Mixcloud, I hear a small smelly person sitting in a darkened room ask? Well, firstly I am aware that a lot of peeps like to stream music, radio, podcasts, etc on the web without downloading to their computers, so Mixcloud ticks that box perfectly (check out the Mixcloud website for more info). Secondly, it is another handy way to promote Hubie Sounds and get it out to more people who might not venture onto NSB Radio, or facebook or this very website. And thirdly, Mixcloud is PRS registered, which means that every time someone listens to Hubie Sounds on Mixcloud, the artists, whose tracks feature on the show, receive royalty payments for their work, which has to be a good thing! Please bear with me as I upload each show, there are 14 of them so far and they will take a little while to upload! Keep checking mixcloud.com/hubiesounds for updates. Cheers and thanks for listening to Hubie Sounds! Thanks for downloading this show, we hope you enjoy it. HUBIE SOUNDS with special guest peo de pitte! In the first of two Breakspoll Specials, this Tuesday night we will be joined in the studio by one of the hottest talents in dance music… the one and only Peo de Pitte! Yes that’s right, the man behind the excellent Crazy Love remix for the Drumattic Twins and numerous other booty shaking productions will be joining us in the Hubie Sounds studio this Tuesday night for two hours of bouncy beats and musical mayhem on NSB Radio. Hubie Sounds hits the internet airwaves once again this Tuesday night and this week we’ve got a very tasty guest mix from the Burmese son of wobble, Sai. He’s put together a mix chock full of wobbly basslines, dubby riddims and filthy beats which we guarantee you’ll love. Starting out producing hip-hop on an MPC, Sai decided to concentrate on mixing when moving to London from Burma, adding dubstep and breakbeat to his repertoire and even spitting lyrics in Burmese for hip-hop group Vokal as part of his musical apprenticeship. 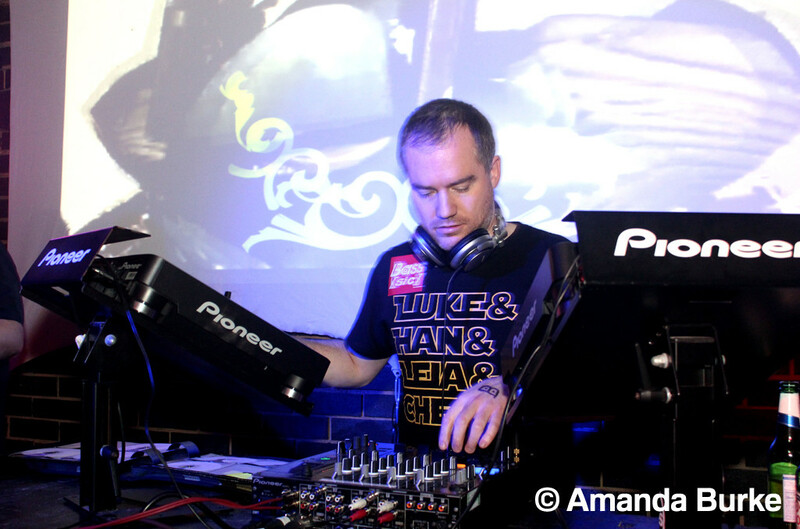 Now rocketing to fame in London’s alternative electronic scene, recently coming 3rd in the Eastpak soundclash, he has also won the Mad DJ Comp in Nov 2009. Sai’s versatility and musical intelligence has paved the way for his on-going success. With the ability to hold down crowd rocking sets wherever he plays, from party vibe hip hop to the most gut wrenching dubstep and bassline you can dare to imagine with all the ear carnage in between. All mixed to perfection and done with bags of charisma makes him an instant fan favourite all over town and further afield! Holding residency at london’s breakbeat stalwarts SUPATRONIX and Door. Promotions eclectic cross-genre night Never Grow Up. Also rolling with the likes of Rokit Science, Your Mum and Trouble Vision he has been booked alongside some of raves leading lights including; Pendulum, Chase & Status, Eddy TM, General Midi , Calvertron, Rennie Pilgrem, Slyde, Freestylers. Utah Saint, Elite Force, Rico Tubbs, A1 Bassline, Bass Weazal, South Rakkas Crew, Toddla T, Baobinga, Raffertie, Plastician, Reso, Brackles, Deekline & Wizard, SOTO, Plaza de Funk, 2 Bit Thugs and more. Founding UK underground DJs & skateboarders group UPPER PLAYGROUND, Sai’s library of basslines is given its own agenda and ready to push the boundaries of London’s eclectic heavy bass scene. Make sure you mark the Wobble Squad launch night on 19th Feb and the Upper Playground Birthday on 3rd April in your diaries peeps, you won’t want to miss them! Both nights will be held at the Gramaphone in London. We’ll also be spinning the usual selection of bouncy beats for your aural entertainment, including fresh tuna by the likes of Elite Force, Mr No Hands, Plaza de Funk and many more! download the HUBIE SOUNDS best of 2009 special! Thanks for downloading this show, we hope you enjoy it!